“In this the year of my Diamond Jubilee,” writes Queen Elizabeth II, “I am delighted to be able to present, for the first time, the complete on-line collection of Queen Victoria’s journals from the Royal Archives. So true, and a beautiful jubilee gift from the monarch to those interested in her ancestor. Victoria was an excellent, lively writer. And what better way to know her than to listen to her voice? 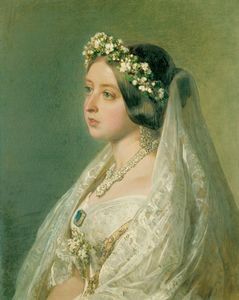 Various illustrations in Victoria’s hand are also available.